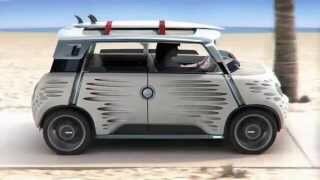 Recently, Toyota released a rather off-beat concept: ME.WE Concept 2013. The ME and WE in the concept’s name expresses its simultaneous concern for personal well-being (ME) and that of others (WE). The concept is electric-powered and is using the same in-wheel motors as the Toyota i-ROAD, with batteries located under the floor, as in the iQ EV.